Fort Murchison is set in the former Aswa Lolim Game reserve, just outside the northern park boundaries of Murchison falls Wildlife National Park. 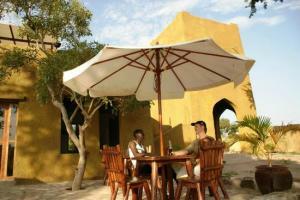 It is set in a beautiful surrounding and looks out on the majestic Albert Nile. Fort Murchison revokes the idea of a well maintained isolated outpost from times where Arab traders frequented the African hinterlands and legendary explorers led expeditions in search of the source of the Nile. Murchison Falls National Park is the Uganda’s largest National Park and this gives Fort Murchison upper hand to host a large number of visitors. Activities like game drive, Boat cruises on Kazinga channel, nature walks, tree climbing lion search safari among others. 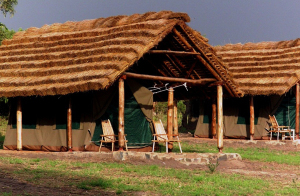 Fort Murchison offers comfortable accommodations to suit all budgets- therefore, it is pocket friendly- be it in our beautiful rooms, our comfortable thatched tents or the lazy camping tents, a great value for money is guaranteed. The rooftop terrace is the perfect spot for your sundowner drink. After enjoying the breathtaking views of the Albert Nile, guests descend towards our restaurant where a fine 4 course diner awaits you. The restaurant décor has a Swahili touch and is decorated with picture and drawings from the first explorers’ adventures. At the lodge, visitors are provided with bread made at the lodge. Vegetarians are also catered for at since the lodge started their own vegetable garden and have planted plenty of fruit trees going from citrus, mango and pawpaw to jackfruit, passion, avocado trees among others. Solar energy is used at the lodge and several solar fridges and freezers are used. We kindly ask you to let us know in time if you have any dietary requirement so that we can prepare your meals accordingly. This entry was posted in Budget Lodges Uganda. Bookmark the permalink.